The star and stunt team behind ‘Versus’ reunite for the visually splendid, action packed fantasy, ‘Death Trance’. 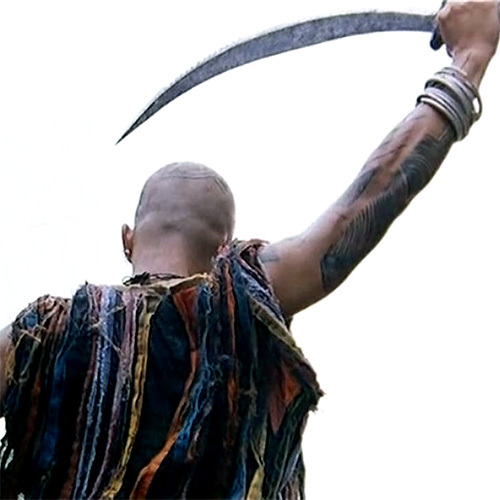 Tak Sakaguchi is Grave, a wandering warrior who steals a mystical coffin from a temple of monks. In tow he has a little girl, seemingly the protector of the coffin and who will follow it wherever it goes not matter whose hands it falls into. Speaking of which there is a whole host of kooky and deadly characters after the coffin, all hunting Grave and confronting him for some down and dirty sword fighting. As his journey progresses and his enemies increase, Grave soon learns that the coffin make not give the power he hopes for but maybe the undoing of the world if opened. ‘Death Trance’ is a visual splendour and shows Japanese cinema is at the forefront of creating comic book movies gone live action. 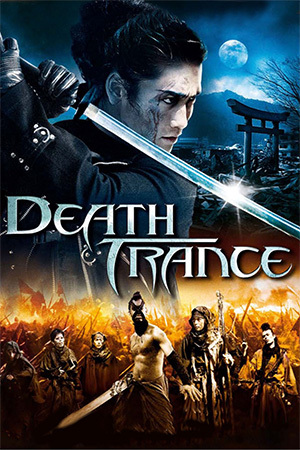 A samurai movie crossed with Anime, ‘Death Trance’ knows no bounds in the imagination department with camerawork, production and costume design and action sequences all merging seamlessly to create a vivid and original world. Filmed in some beautiful forests and filled to the rim with creative ideas, ‘Death Trance’ unleashes swords that seem to be alive, vampire ninjas who live in a giant makeshift spider web, motorcycles and guns alongside swords, vivid colours awash across the screen and even the odd bit of strange stop motion animation. 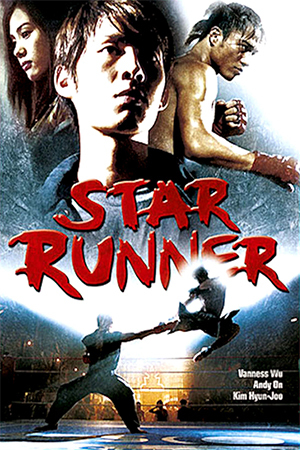 The filmmakers, despite what must have been a fairly low budget, throw everything at the screen and make the movie look incredible. This is also done with little CGI, it only used to enhance certain aspects and realize the fantasy heavy finale. It may not be epic in scope but that never stops ‘Death Trance’ being a treat for the eyes and it’s always bursting with creativity. Some may find the lack of intricate plot unsatisfying but it is never really a detriment to the picture. Not all stories have to be complex and despite its streamlined plot, ‘Death Trance’ still packs a lot in and enough characters for us to care about. Plus it’s refreshing watching a fantasy flick where we don’t have to know every characters background and reasons for doing what they are doing. The only downside is that the flick doesn’t always make a whole lot of sense. Ambiguity can be a bonus and while the finale is visually arresting and impressive things do leave you with a sense of “huh?” Likewise the little girl that follows the hero throughout the movie: why is she there? It’s never really explained but is one of the many odd delights of ‘Death Trance’ as she is as cute as a button and even provides the odd bit of comedy. Plus, like many of the odd but unexplained events (that stop motion animation), is she wasn’t in it then ‘Death Trance’ wouldn’t be as memorable. Of course coming from the stunt team behind ‘Versus’, the movie also packs a punch in the action scenes. 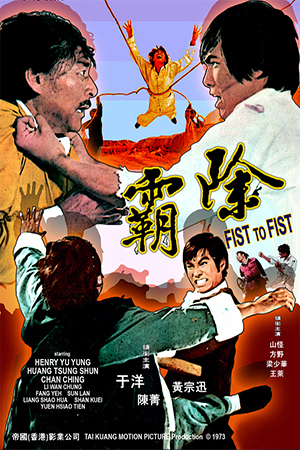 Lots of sword fighting, fisticuffs and even gunplay feature in a bevy of imaginative fight scenes. They are plentiful and if you are at all sick of the common quick cut editing found in most Hollywood action films these days, then the well shot and cut fights of ‘Death Trance’ are a breath of fresh air. 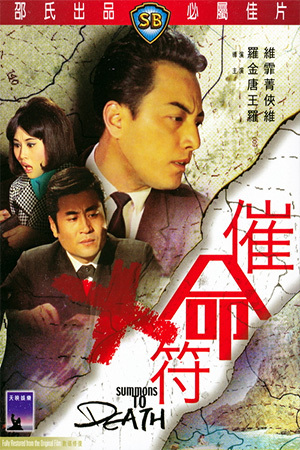 The standout is the sequence featuring vampire like ninjas and that giant spider web. Tak Sagauchi cuts a mean figure in the fight department and even gets some back up from Kentaro Seagal (Steven’s son) who plays one of the many people trying to steal the coffin. 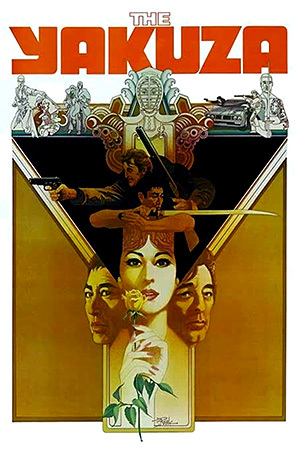 ‘Death Trance’ isn’t quite as good as ‘Versus’ (which it will always be compared to) but is nevertheless a visually striking, always creative and if a little slow in pace at stages, still packed with great Eastern flavoured action. And sometimes there is nothing wrong with a film just providing that.